It is a wonderful Pre-Columbian town and it is considered the largest and most important archaeological place in Costa Rica. Guayabo is located in Turrialba downtown, from Cartago province, at 2 hours approximately from San José city (Costa Rica capital). 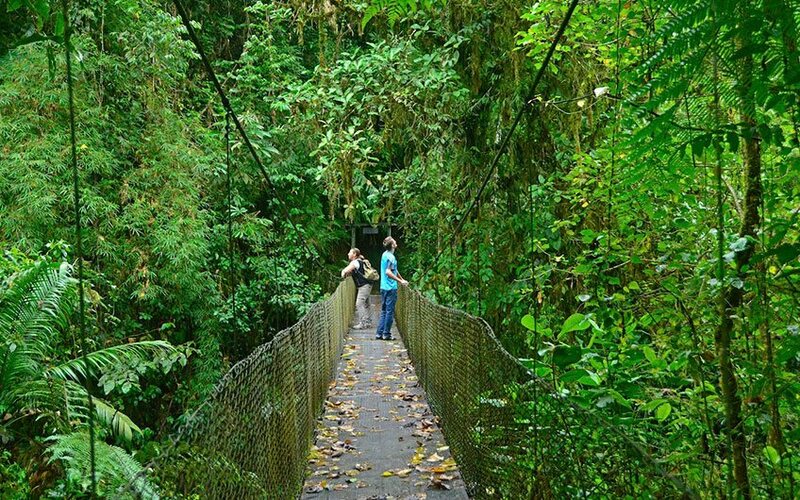 There you can visit the Guayabo National Monument and learn some more about the Costa Rican culture (you can also visit the Turrialba Volcano National Park which is located in the same province). You can get there by car o bus. By car, from San Jose, you must take Highway 1 south towards the province of Cartago and continue through Cervantes, follow by Turrialba and then Santa Teresita. Follow the signs on the road to the Guayabo Monument. I recommend choosing a 4WD vehicle or ask your travel agency all the information of a private transfer. Guayabo is really important because it protects archaeological structures, influenced by Pre-Columbian groups that came from North and South America. Some of the archaeological finds that can be found here are: staircases, mounds, carvings of crocodiles, insects and jaguars, aqueducts, golden artifacts, roads, sculptures, pottery, tombs, petroglyphs, jade artifacts, stone spheres and monoliths, among others. The aqueducts system was developed by the ancient Pre-Columbian city and the rainwater still flow through this structure; also the paved roads are still visible. Because of these discoveries archaeologists affirm that this particular Pre-Columbian city had experts in very important political and religious position. They (archeologists) believe that the city population was around 30000 people. No written records were ever found of any explorer finding the city and it was rediscovered by the explorer Anastasio Alfaro in the 1800’s. The Guayabo National Monument has high evergreen beautiful forest spots with species like cerillo, magnolia, tirra, cantarillo, caragra, cirri, quizarra, burio oak and shortleaf trees. Also, you can find many epiphyte plants, for example: bromelias and orchids. If you are a bird lover this National Monument holds a great variety of species you may want to watch, for example toucans, trogons, motmots, montezuma oropendolas, piapias, chachalacas, woodpeckers and clay-colored thrushes. You can also see snakes, coatis, lizards, margays, frogs, butterflies, rabbits, and coyotes, among others. Some services and facilities on the Guayabo National Monument are: information office, trails, bus service, exhibit room, camping area, archaeological investigation stations, amphitheater, butterfly farm, restrooms, lunch area and panoramic views and viewpoints. 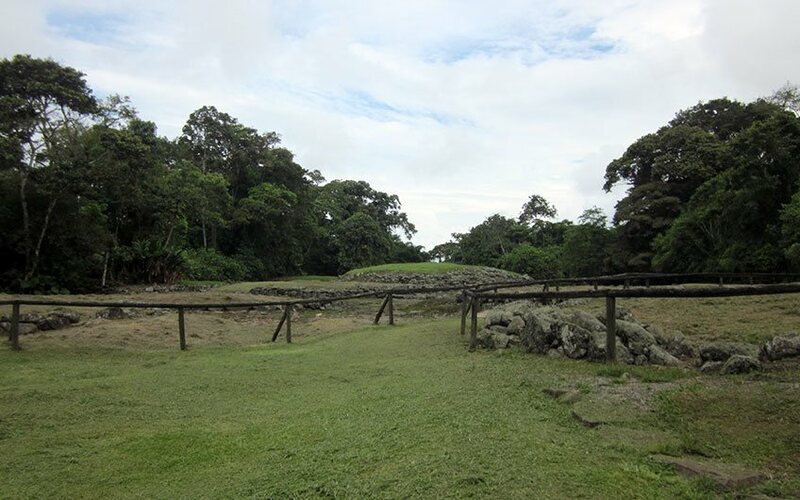 Guayabo is one of the oldest archeological sites in Costa Rica, most of the construction was made of stone. It was occupied around 1500 B.C, and the history says that in the surrounding towns lived more than 2000 people. This national monument consists in 20 hectares approximately, where we can find different archeological features. 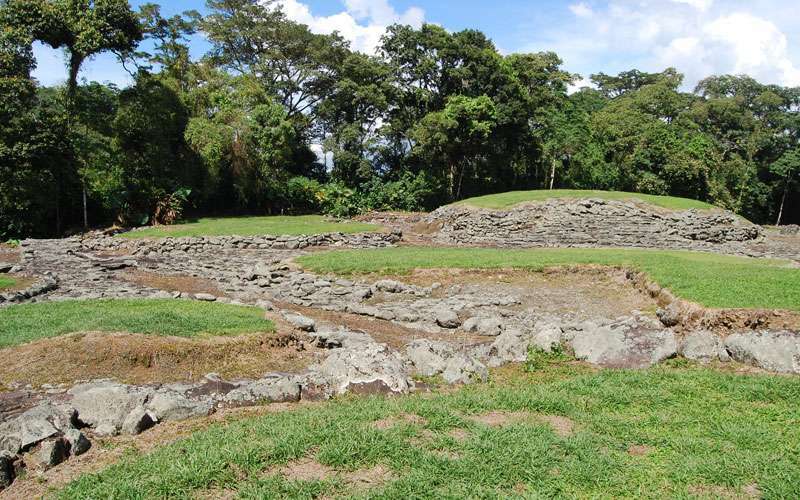 Guayabo was a power and ceremonial center, where tributes were paid. Since 1882 explorations started, but it was not official neither protection or preservations works. But in 1968, Universidad de Costa Rica (UCR) began a permanent study and investigation program there. Officially, Guayabo was declared a national monument in 1973, then Turrialba Costa Rica became an archeological interest area and finally in 2009 it was declared world heritage of engineering by the American Engineering Society. This is a small town, very simple but nice and less touristy. Turrialba is a valley that is surrounded by mountains, the hotels here are boutique more modest than in other regions but beautiful, charming and cozy. There you will not find Costa Rica all inclusive family resorts, but you will have the opportunity of experience and know the authentic Costa Rican hotels, and learn more about culture. We have Wagelia Turrialba hotel which is one of the downtown hotels, so it offers easy access to other facilities in the town. Villa Florencia hotel is close to the main town but not exactly there. It is a very nice property, private and more secluded than the first one. Close to Turrialba Volcano, we are able to offer Guayabo Lodge, on the volcano slopes. It has an amazing view and has a lot of nature in the surroundings due to its location, close to a protected area. One of the best and most recognized hotels in the area is the beautiful Casa Turire hotel, a boutique property immersed into beautiful exuberant gardens. But also, if you prefer adventure, you can chose two of the hotels that are located on the Pacuare river banks. Pacuare Lodge is world know as one of the best lodges in Costa Rica and Rios Tropicales Lodge is more basic property but it is nice too, it has an accessible price and in both properties you will have the opportunity to arrive or depart by rafting. 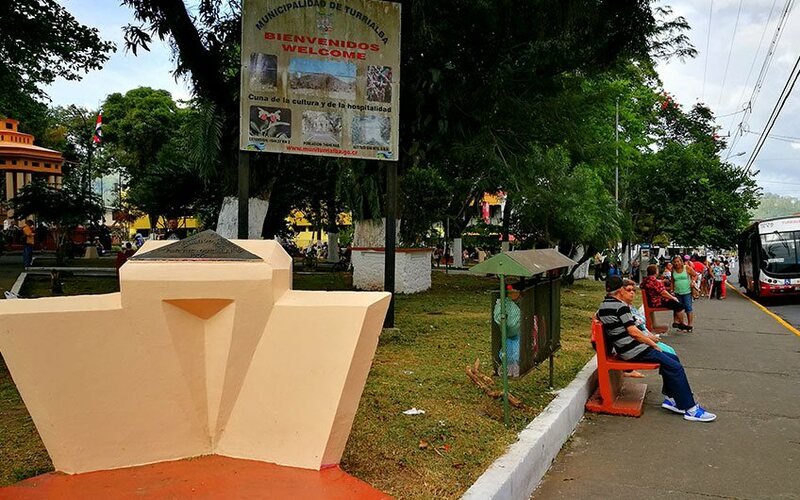 Certainly, visit the Guayabo Monument is one of the best activities that we have to offer in this spot. However, if you will stay longer and want to experience more of the area, there are a lot to do too. It is a private national refuge, considered World Heritage Site. It works like a shelter for resident and migratory animal species, it also protect many flora species. Costa Rica family adventure holidays, should have a little of adventure, and this combination is right to have fun and unforgettable memories. 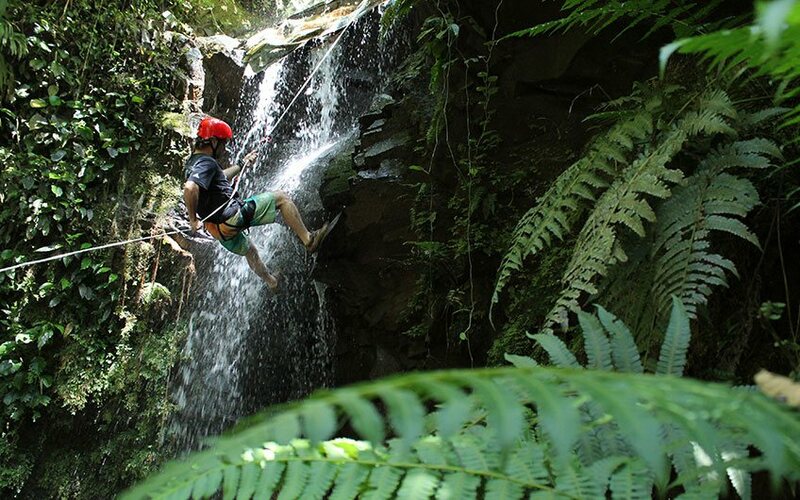 Sliding through the tree canopies and jumping while descending on the waterfalls sound great, doesn´t it? This is a very adventurous activity. 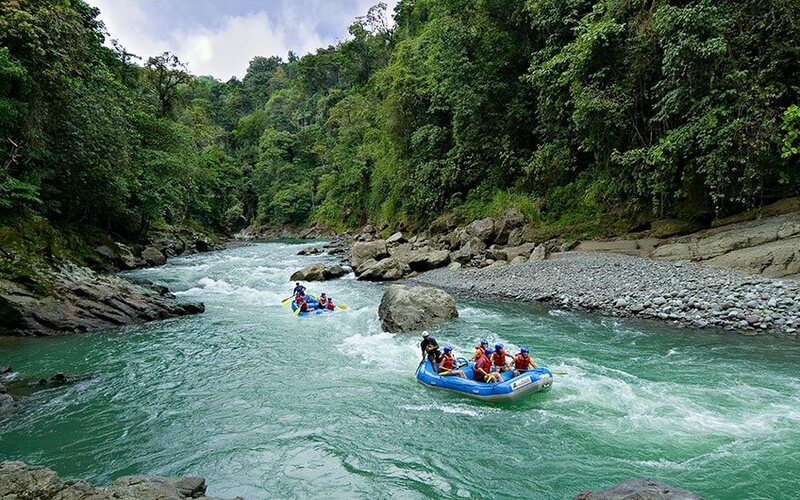 In Costa Rica we have a lot of rivers where we can do rafting, but Pacuare is world known for competitions and due to its scenic beauty. We are also able to offer the Pejibaye River, which is a better option for families with children under 12 years old. Other activities that you can consider for your Costa Rica family vacation, are horseback riding, down town cultural tours, biking and more activities. We would like to invite you to come and visit this Archeological Monument, please contact us or leave us a comment if you think this article is important and helpful.